This article is the first in a series of four which aims to provide comprehensive insights on GDPR and practical guidelines for business organizations to plan, define, and execute a successful GDPR compliance strategy. The General Data Protection Regulation (GDPR) is a new legal framework formalized in the European Union (EU) in 2016 which come into effect from 28, May 2018. Organizations that cannot demonstrate GDPR compliance will be subjected to financial penalties up to 4% of their annual turnover, or €20 million (whichever is higher). A directive is a legislative act which sets out a goal that all EU countries must achieve. However, it is up to the individual countries to devise their own laws on how to reach these goals. A regulation is a binding legal force throughout every member state that enters into effect on a set date for everyone. It must be applied in its entirety across the EU. NOTE: GDPR interchangeably uses the terms natural person and data subject to refer to an individual living in the EU. GDPR accepts the protection of personal data and the control of processing personal data as a fundamental right of each individual. In practice, this ensures the freedom of processing personal data based on an individual’s explicit and positive consent. This will also enable individuals to engage with business organizations under a well-defined context with an assurance on consumer rights. For organizations which process personal data, GDPR provides certainty on data processing operations and legitimized grounds for processing. GDPR is a carefully drafted legal text and this section provides a comprehensive definition of some terms used in GDPR. It’s also important to understand that the definition of “processing” is applicable to any means, and not restricted to automated means. For example, collecting data by filling a form or recording/storing of personal data while ordering a takeaway are also applicable. If a particular organization is responsible for defining the purpose and means of data processing, it is a Controller. If not, the organization is a Processor. There must be legitimate grounds for collecting and using personal data. In order to become “lawful,” all processing of personal data must be carried out in accordance with the common law. In addition, the processing of personal data should be fair and provide complete transparency. The purpose of data processing must be limited to the original purpose mentioned and must have the consent of the relevant individual at the time of data collection. To process data for purposes other than the originally listed one, fresh consent from the individual is required. Data collected and stored is only what is required to fulfill the purpose of current processing. Additional data is not to be obtained. Ensure all data processed is accurate. If the data is inaccurate, the data processing organization must take immediate actions to either rectify or delete incorrect data. Personal data is stored during the validation of the original purpose, following which it has to be deleted from storage or retained after removing uniquely identifiable details. Processing organizations must ensure that only authorized people have access to data, use strong passwords, and follow best practices for password policies. The processing organization should able to demonstrate that it complies with accountability principles, which explicitly states this as the organization’s responsibility. 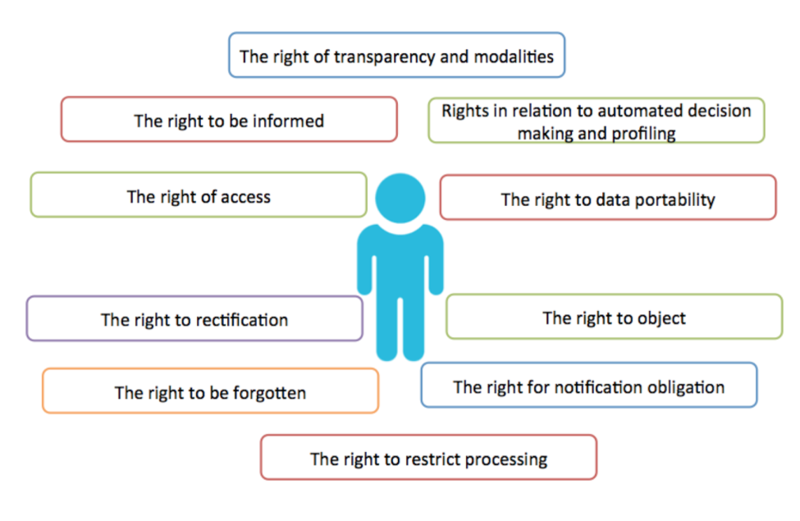 All processing activities based on personal data must be transparent to individuals. It’s the responsibility of processing organizations to make these processing details available for individuals in a clear, concise, and intelligible manner. Additionally, this information must be easily accessible and should use plain language. The above details need to be provided when collecting personal data from individuals directly or indirectly. Typically, commercial organizations use privacy notices to provide these details. GDPR facilitates individuals to request information about data processing from a processing organization by sending a Subject Access Request (SAR). This information includes what personal data has been processed, purpose of processing, and which data is stored within the system. GDPR states that it’s mandatory for processing organizations to respond to SARs at latest within one month of receipt. If the processing of SAR is complex, organizations can further extend this period by another two months, subject to notifying the individual about the extension. An individual should have the right to require that the processing organization correct any errors in personal data processed without any delays. An individual should have the right to request the processing organizations to erase personal data without any delays. When a processing organization makes personal data public, the individual can request to erase any links to copying and/or replication of personal data. An individual can request a processing organization to restrict his/her personal data processing. In such cases, the processing organization may continue to store the data, but the purposes for which the data can be processed are strictly limited. 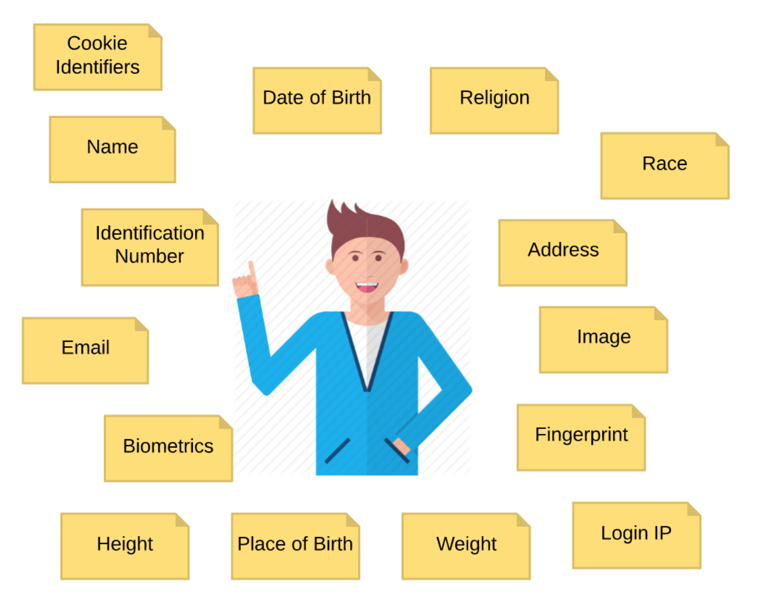 An individual has the right to obtain his/her personal data stored in a processing organization in a structured, commonly used, and machine-readable format. This facilitates easy transmission of the the data obtained to another organization. If technically feasible, an individual can request to transfer his/her personal data from one processing organization to another directly. An individual can object to processing of his/her personal data at any time. 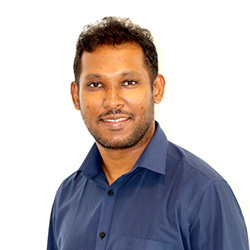 In such cases, the processing organization should stop the processing of affected data unless they can demonstrate legitimate grounds for continuing with the processing of the affected data. An individual has the right not to be subject to decisions based solely on automated processing which significantly affect him/her. Examples of solely automated processing include online credit application, e-recruiting or e-evaluation of performance without any human intervention. Organizations offering services for children should pay special attention when designing privacy policies and consent pages, to ensure that the intended audience is of an age where they can understand these policies/consent required before opting for data processing. Organizations are encouraged to explain consent and policies using graphics/animation in an understandable manner. Organizations offering services for children and process children's data should employee age verification mechanisms, and must take appropriate measure to obtain approval from parental responsibility holders. GDPR introduces a special role called the Data Protection Officer (DPO) to provide necessary advice to processing organizations and act as the point of contact for individuals and supervisory authorities. DPO can be a staff member or an external contractor and must possess professional qualifications and expert knowledge to perform tasks associated with the role. GDPR recommends processing organizations to carry out a data protection impact assessment (DPIA) depending on the nature of data processing, especially when using new technology. The DPIA needs to be conducted prior to any data processing and if the DPO is present, the organization can seek for advice. One of the important aspects of GDPR explains the procedure which organizations must follow in the event of a data breach. To summarize, the processing organization must communicate about the data breach to the supervisory bodies within the first 72 hours with adequate details about the incident and proposed mitigation actions. 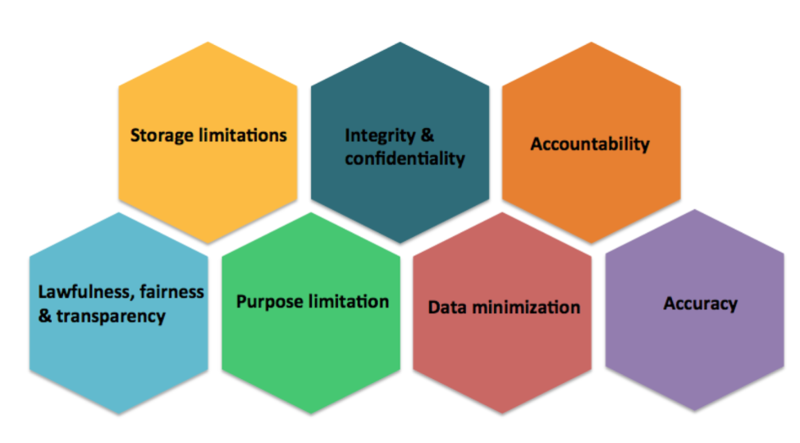 7 steps to become GDPR compliant!